Seemingly unremarkable sushi ephemera are being preserved for future historians. 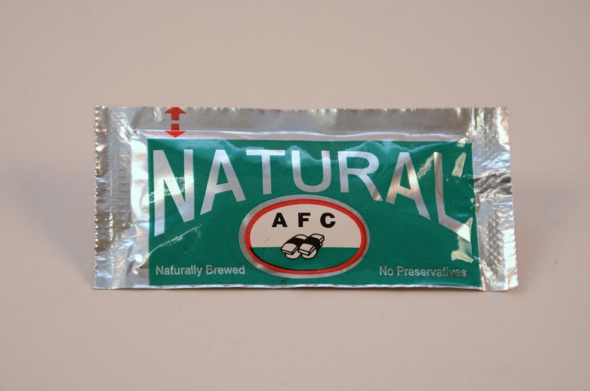 The American History Museum has collected an assortment of sushi ephemera as the Japanese dish gained popularity in the U.S. over the past few decades. Why collect sushi at a history museum? If you take a step back you’ll remember that culinary trends come and go throughout the ages. After all, early Americans consumed vast amounts of game and alcohol; only a fool would have thought about eating raw fish. At the Smithsonian’s Sushi Collection, each sushi artifact is dutifully cataloged, measured, and accompanied by a detailed description for future historians. It may seem boring today, but think about how interesting it can be to pour over cultural relics from the past like 1960s appliances, World War II propaganda posters, or vintage Coca-Cola ads. 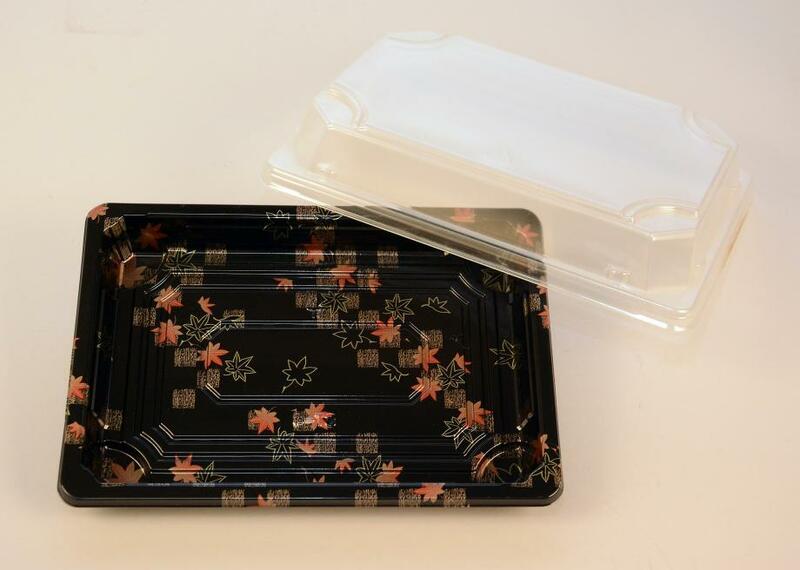 The two part container has a black tray with a detailed red and gold maple leaf pattern and a clear plastic lid. The clear plastic counterpart is shaped to leave space for the sushi inside, and allows for the contents of the tray to remain visible to the customers. This is an example of a small sushi tray used for packaging sushi. These trays often contain of a variety of rolls and nigiri, and include a side of wasabi and gari (pickled ginger) as condiments. 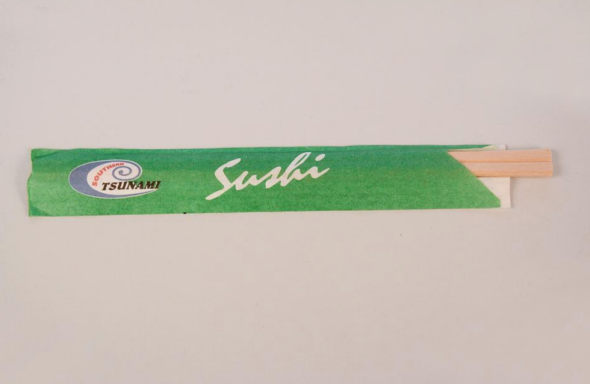 Upon purchase, the customer is provided with a pair of disposable chopsticks and a single serving packet of soy sauce. These trays are disposable, and therefore these prepackaged sushi trays make a convenient lunch option. One can only imagine how a century from now, the museum’s disposable chopstick exhibit will form an important touchstone for the American experience.